Remember that George Constanza quote: I would drape myself in velvet if it were socially acceptable. ? Well, I have an inner Constanza (..creeps); so I got myself a black velvet blazer. Because I'm classy like that. Well, sort of. The good thing about being a hoarder, is that my 1998 pair of Gazelle's are up and running. Well, sort of. This is how we rolled in the late 90s. Closet safari.Closet archeology. This reminded of quite possibly the coolest music show back in the day, called Alternative Nation.This video was on rotation pretty much every week. From 90s Sweden with love, Bob Hund. Bob Hund - Istället för Musik Förvirring (1996) Rough translation of the chorus : "Instead of music : confusion".Yeah.. Even back then I was a weirdo. 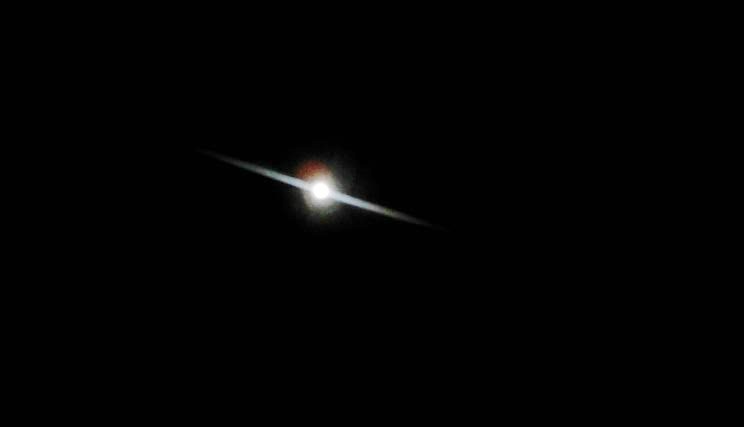 Tried to get a photo of the super moon with my phone and it looks like Saturn. Which is cool. Sort of. Wearing black over grey over navy all the time gets on my nerves. Well, sort of. I like these linen 90s boxy tees a lot. They are easy to wear and the colors are really tight. Rescued: sweetest little 70s lava decorative dish. It's actually part of a set of three dishes, but I just took a photo of this one in particular because the color combination is so delightful. How many times did you read "sort of" in this post?